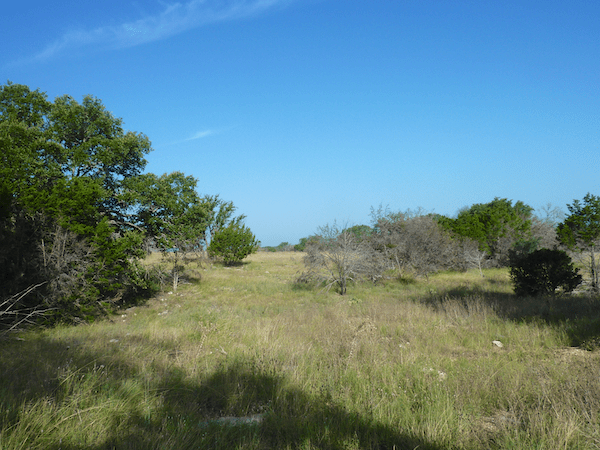 Colorado Bend is one of the great hidden gems in the central Texas state park system. Being a bit of trek from any major city, it is not heavily used by hikers, runners, and bikers and yet it boasts over 30 miles of trails. 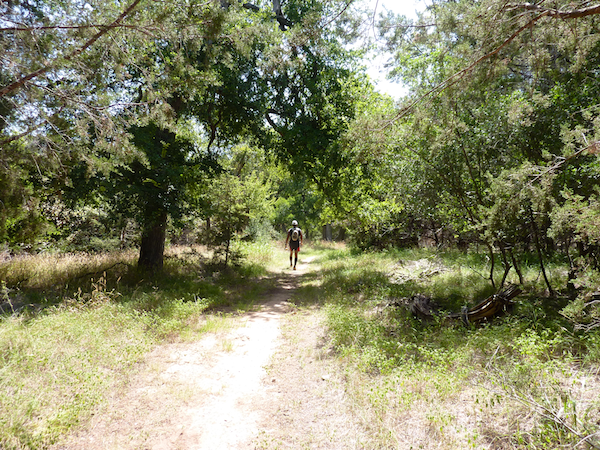 There is a great variety from rocky single track to open field running to sweet little spring trails. The past 2 summers there have been Capt Karls races but as those races start at 7pm, not many have seen the full set of trails in the daylight. For those who have run the Capt Karls races, we will be running many of the same trails but also exploring trails not used by the race. Parking: Check in at the park headquarters and we will be park at the furthest parking lot to the right. It will be marked on the course map. Course Map: full size download link. 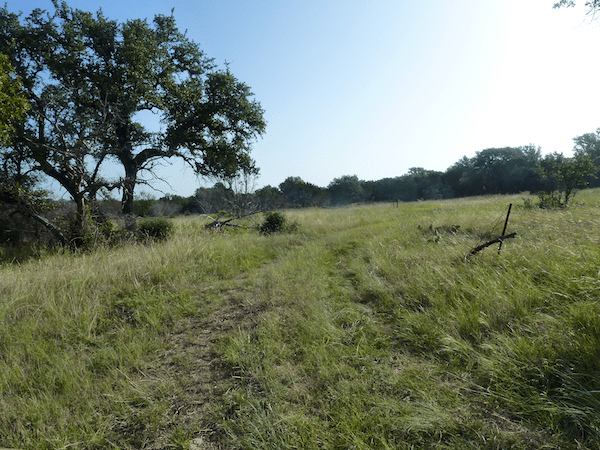 Distances: Big loop – 23 miles. 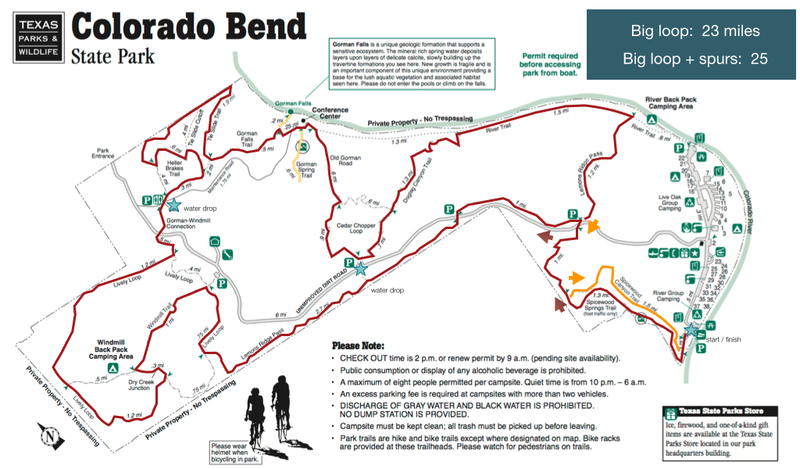 Big loop w/spurs – 25 miles. Multiple bail-out points and short cuts if a shorter run is desired. Cost: free to run. Park entry fees apply. This is a group run but at the end of the day this is not an official event. You are responsible for yourself. While we hope to run in groups of similar pace runners, this is not no-drop run. I will set-up water stations. I will do my best to ensure that they are out there for the length of the day. There will not be food or any other supplies at the water drop unless you take care of that yourself. I will let the park staff know we are out there but again, you are responsible for yourself. 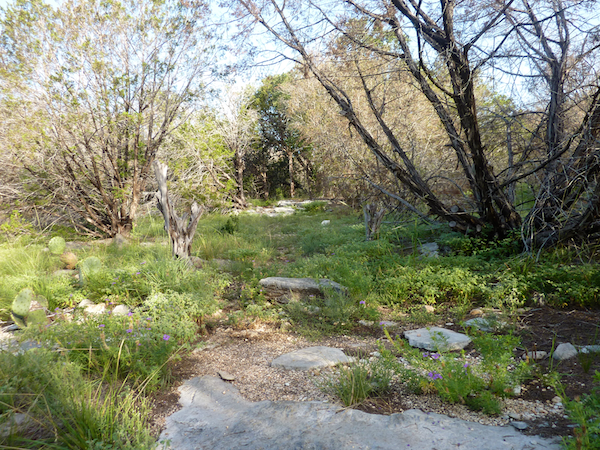 Staring in the parking lot we will head down a smooth grass double-track to the end where it meets a sweet little natural spring pool and take the Spicewood Springs Trail up. This is a different than the CK races. It is a lovely area so take care moving through there to leave no impact. 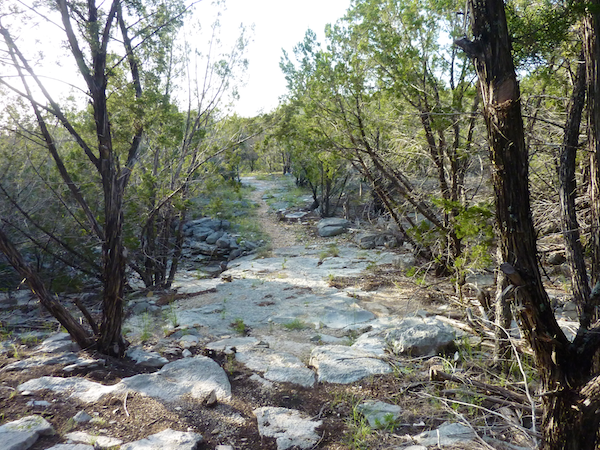 The Spicewood Spring Trail is a nicely rugged trail that climbs up to the road. We will cross the road and then cross again a mile later as we head to where will pass a water drop. This section is roughly 5 miles. 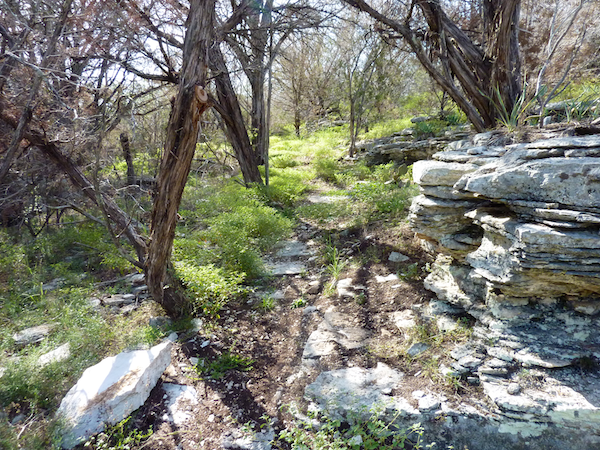 The rocks ease up in this section and the trail opens up in to some gentle running paths. The CK race course bypasses much of the Lively Loop but we will hit up most those trails. This section is about 7 miles but short cuts could reduce it down by half if desired. The first couple miles of this next section are pretty straightforward as we climb up to the highest point in the park. The rocks increase as we head down towards Gorman Falls. 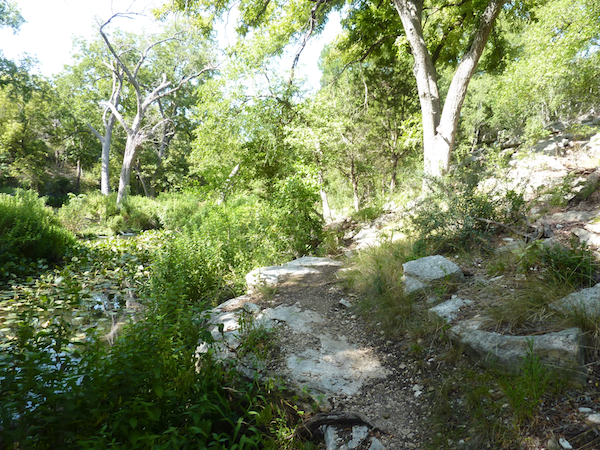 A short spur takes down a steep descent that rewards with Gorman Falls. Shortly after leaving the falls, we hit the springs. Another spur leads along the bubbling year-round spring where we find a nice contrasts to the high grass plains we were just at mere miles ago. Leaving the springs is a long, somewhat rocky, but manageable climb out up to our next water drop. This section 6 miles long. As we descend back down towards the river, the rocks increase again. Some good running mixed with twists, rocks, and views before hitting a trail that follows the river. After 1.5 miles of smooth trail, we hook back up over Lemons Ridge Pass where we find more rock to dance with. Some may opt to bail out here and take River Trail back to the parking lot about a mile further down the road. As we cross the road, we head back down a trail we rain many hours earlier. 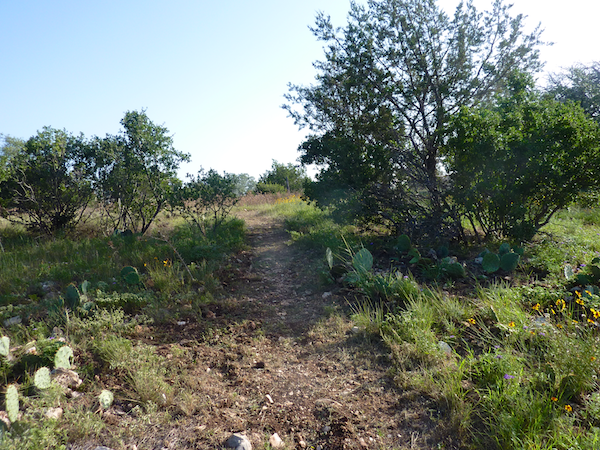 After 1 mile, we take the left split to head down the Spicewood Canyon trail and back to where we started. Recommend a hydration pack. You could carry bottles since it won’t be hot and the water stations are not that far apart, but with a hydration pack you can carry more food / nutrition, first aid pack, and other supplies. The trail will take longer than you initial expect especially if you stop and take pictures or soak in the scenery. I will have a sign-in / sign-out book. This will be helpful in keeping track of people. If you bail out early, please sign-out so we don’t send out a search party. Cell phone coverage is pretty dicey out in the park. It is nonexistent at the parking lot and spotty at the high point. Some may camp out the night before. I will not be reserving any spots and will decide myself whether to camp or drive out closer to the date of the event. This entry was posted on Sunday, November 17th, 2013 at 6:27 pm	and is filed under Uncategorized. You can follow any responses to this entry through the RSS 2.0 feed.